In addition to purchasing your new MIG Machine you will need a several welding accessories. 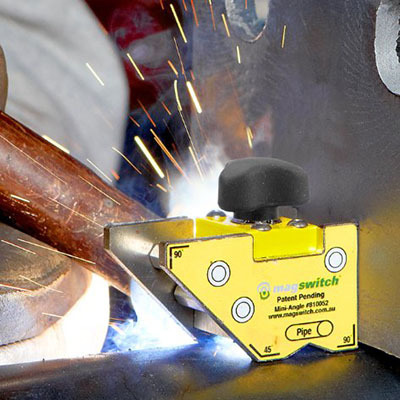 These range from specialty tools designed specifically for the welding industry, to safety equipment and personal protection gear. While we will briefly discuss the safety needs in general here; you should visit our welding safety article to learn more. Every welder needs to protect their eyes; this is true whether you are a professional welder or a hobbyist. The process of welding emits ultraviolet rays which will permanently damage your eyes if they are exposed to the harmful rays. This is why we placed the welding hood at the top of the welding accessories list. This is NOT an option! 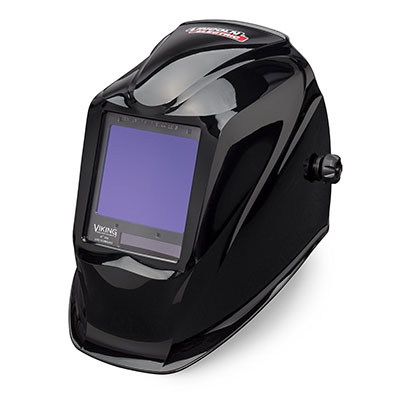 Visit our Welding Hood review page to see the best models and various features that are available. Don’t waste your time with an old-style, non-darkening lens. The cost of a Auto-Darkening Welding Hood has become so low today that every welder should have one. You need to protect your hands from the heat, weld spatter, and the UV rays. 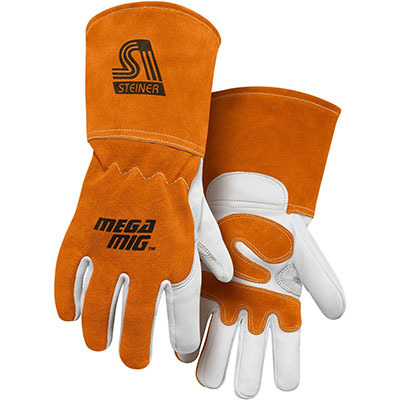 Most MIG Welding Gloves are constructed from leather and have a double or triple layer palms for ultimate protection. Metal fabrication is much easier if you have a variety of welding clamps to choose from. The clamps can hold your parts in place while you tack them together. 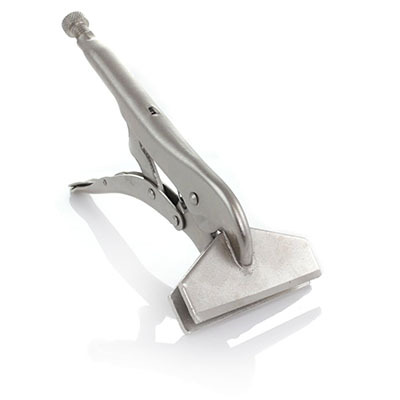 There are many different styles of clamps for specific applications. My favorites are a 90 degree 2 axis clamp, welding vice-grips, and wide jaw utility clamps. It’s like having an extra pair of hands. Check out my favorite clamps on our Welding Clamps Mini Reviews page. In addition to conventional clamps, you will also appreciate the functionality of magnetic welding holders. 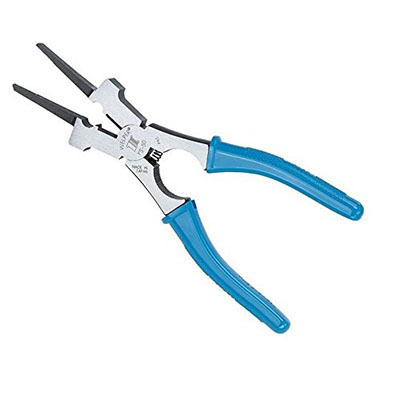 These are a great tool to hold two pieces of tubing at a 90-degree angle while you tack them together. The magnetic holders are faster and easier to use than standard clamps. You can’t survive without a pair of welding pliers in your back pocket or tool belt. You will be constantly using these to cut off excess wire or unclog your tip. Well first of all, what is spatter? Spatter is the little molten metal balls that fly all over the place when you weld. They stick to everything, including exposed skin. And yes, it hurts like the dickens if one of these balls falls down inside your work-boots. To keep cleanup to a minimum you can spray your parts with anti-spatter. This will prevent most of the spatter from sticking to the part you are welding. Spraying your tip with anti-spatter can keep it running longer between cleaning as well. You may think that you don’t need safety glasses since you will be wearing a welding hood. This is far from true. I always wear safety glasses under my hood for a couple of reasons. First, the afore mentioned spatter can find its way inside your hood and my safety glasses have saved me on more than one occasion. And secondly, when you initially lift up your hood, slag can pop off of the hot new weld as it cools and fly into your eyes before you have a chance to grab your safety glasses. I have always said that a proper weld will never need grinding. I still believe this is true today. Where the grinder comes into play is prepping your parts before you weld. You need to remove any mill scale, paint, or dross before you weld the parts together. You also need to make sure you have a near perfect fit. Properly mating the parts is the secret to a good weld. If you are welding with flux-core MIG Wire or a stick machine a slag will be left behind. The easiest way to knock off this slag is to use a chipping hammer. You may also want to use a wire brush. Anytime you weld there is a risk of fire. You should always keep the area clear of paper and other combustibles, and certainly you need to remove any fuel, paint, and oil from the area. Keep a standard A, B, C fire extinguisher handy, just in case!